For some reason, I got a 10£ discount coupon from Wiggle, even though I never had ordered anything from them before. 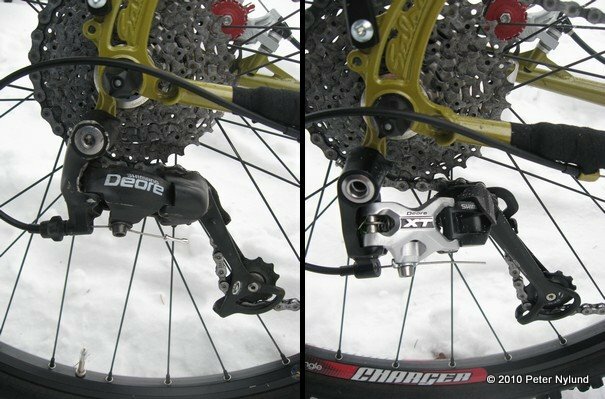 Subsequently, I ordered a new XT rear derailleur from their sale for the Fargo instead of the 8 year old Deore one. The new one should switch a little smoother. I'm also trying out a pogies design. It still needs some tweaking, but it should yield something usable. Pogies are not that easy to make for a drop bar, the only design I have seen is that of Trails-edge, and that does not seem so warm, though it does allow for all hand positions. I just packed the Fargo for a short overnighter. No backpack needed.